Easygoing. Cushy. And a little viantage. With the hobo bag Beutesack WT0116 at your side you can live out your passion for the 70s - vintage look, you can forego on severe hairstyles, wear light sandals and maintain your comfortable and uncomplicated style . 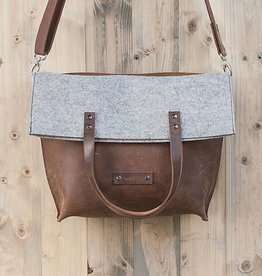 Most important attribute of the shoulder bag is the soft, gentle buffalo skin with a fine, partially sanded surface and a discreet two-tone effect. The pleasant leather is a real womanizer. With your measurements 31 x 37 x7 cm has space for everything you need for an easy day. You carry the bag at tha strap (92 cm) leather on your shoulder . Tha bag is closed with a magnetic button and the important things will disappear in the inside pocket of leather with a zipper. Each leather bag is made by us for your order – handcrafted – in our studio for you.